The ID Security Suite News Archive is being updated on regular basis, so please check in from time to time for up to date articles on PC Security issues. In the last number of the german edition of PC PRAXIS ( edition 4 – 2010 ) we are offering the ID Disk Protector for free! The DVD included has an installer of ID Disk Protector which will fully work for 2 years. A complete review of the application with screenshots and explanations are included in the magazine. Mit dem ID Disk Protector lassen sich einzelne Laufwerke mit wenigen Klicks vor allzu neugierigen Blicken schützen. So haben Unbefugte keine Chance, an Ihre sensibilen Daten zu gelangen, und selbst wenn Ihr Notebook gestohlen werden sollte, hat der Dieb schlechte Aussichten. Wer auf seinem Rechner sensible Daten aubewahrt, möchte auf keinen Fall, dass diese unbefugten Dritten un die Hände fallen. Mit dem ID Disk Protector erhalten Sie ein Tool, mit dem sich Daten auf einzelnen Laufwerken mit wenig Aufwand sicher schützen lassen. Step 1 – Open a DOS promot for launching a special command line. One simple way you can do it would be by clicking Start/Run, typing CMD. and your computer will be locked. The computer lock can be achieved in many ways, here is bellow an example which is using the native screen saver possibilities. For a more professional option check the 14 days trial of the usb lock software and folder lock software. 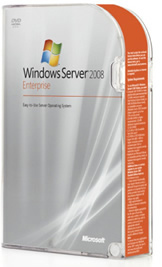 You can use Group Policies to lock down a Terminal Server session on a Microsoft Windows Server 2008-based or Microsoft Windows 2000-based computer. With the following settings, even the administrator account will have restricted access. It is highly recommended that you create a new organizational unit instead of modifying the policies on an existing one. Note: The use of these policies does not guarantee a secure computer, and you should use them only as a guideline. ID Security Suite offers you also a usb lock, device lock and folder lock solution. Dsacls.exe is a command-line tool that you can use to query the security attributes and to change permissions and security attributes of Active Directory objects. It is the command-line equivalent of the Security tab in the Windows Active Directory snap-in tools such as Active Directory Users and Computers and Active Directory Sites and Services. You can use Dsacls.exe to lock out Terminal Services end-users from files and folders on a Windows Server 2003-based computer or a Microsoft Windows 2000-based computer. Check also the article: How to use Dsacls.exe in Windows Server 2003 and Windows 2000 and the attached PDF document to this post. The ID Security Suite, developed by Fastlink2, provides solutions to a myriad of security issues that plague both business and home computer applications by offering a wide array of software packages designed to protect PC users from unauthorized use or outside intrusion. ID Security Suite provides low cost solutions to Internet security issues that plague home and business computers. The company, Fastlink2, recognized that there is a desperate need for PC protection from a variety of forces that would attempt unauthorized access to gain information from company or home computers. Consequently they have developed a suite of applications that will protect computers from hackers, spy-ware, unsolicited invasions and a variety of other internal or external threats to computer file security. Encryption, password access, protection of critical files, computer optimization and maintenance as well as protection and security tools have been developed by the programmers at Fastlink2. Headquartered in Leverkusen, Germany, the staff has applied their technical expertise to develop simple, efficient programs that provide users with an array of software to address any security threats that are being faced. These software programs are characterized by user-friendly interfaces and installation wizards that enable all users from the novice to the professional to take maximum advantage of the numerous features that are provided. Many of the software applications features file recovery modules and also have erase features that prevent the hard disk from being searched for deleted files. Additionally, password protection and encryption features prevent unauthorized access to privileged information. In addition to the ID Security Suite, Fastlink2 maintains a forum which can respond to specific user questions and they offer product support and Internet updates for their complete line of software. Visit http://www.idsecuritysuite.com for more details or contact Cristina Mailat directly. Click here to download the English press kit.